This is an historical and unprecedented collection of Country Music Americana. The year 1961 saw the creation of a Country Music Hall of Fame by the Country Music Association, which is an organization dedicated to the preservation and promotion of American country music. In addition, by Act of Congress, the 1st week in November Of 1961 was proclaimed National Country Music Week. During National Country Music Week, there is held in Nashville, Tennessee, a Country Music Festival which celebrates the anniversary of the World Famous Grand Ole Opry, which has been broadcast from Radio WSM in Nashville for 23 consecutive years. At the Festival are gathered hundreds of country music disc jockies and their wives who make the journey to Nashville each year for the Festival, as well as countless artists, song writers, and other people who are active in country music. 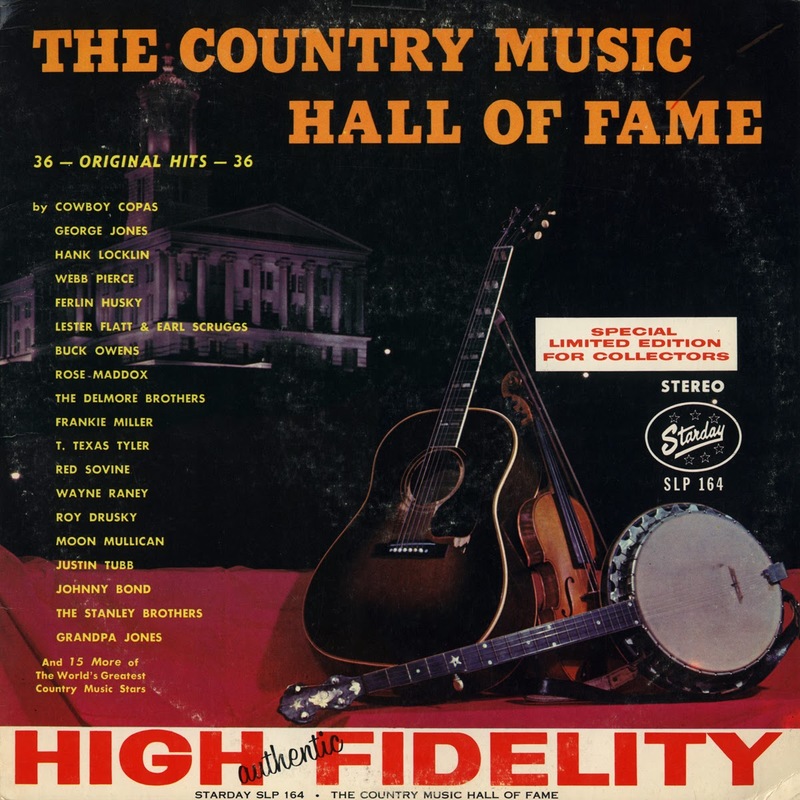 Starday felt that it was appropriate to commemorate National Country Music Week, the Country Music Festival, and the newly formed Country Music Hall of Fame by issuing this outstanding and precedent setting album. Contractual limitations normally make an album of this kind impossible to produce. 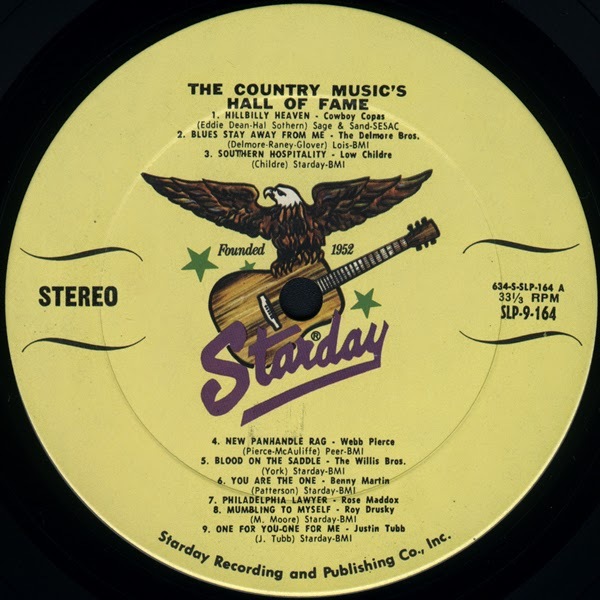 However, with the cooperation of several other record manufacturers, Starday was able to assemble this imposing array of country music hit recordings. The artists, the songs, and in many cases the songwriters, are so famous and well-known that it would serve no useful purpose for us to attempt to describe the contents of this album. The list of contents, plus of course, the music in the grooves, will carry the message very eloquently, we are sure. To qualify for this album, Starday used only original vault masters. Either the artist, the song, or the songwriter has achieved true and lasting stature in the country music field. Country music fans and collectors will treasure this album and they will be interested to know that the picture on the cover is a night photo of the Capitol of the State of Tennessee which is located in Nashville, the home of the Grand Ole Opry. We think this picture is truly symbolic because of the ever popular country music instruments shown, plus the night lights on the Capitol of Nashville, which seem to reflect the wonderful image of all that is good about our beloved country music. The picture seems to stress that altho some of the biggest stars have passed on to another world, their songs and recordings will live on in the hearts of the people. This album gives expression to joys, hopes, fears and troubles, of the people as expressed in song by perhaps the greatest assemblage of country music artists ever combined in one album. It is the sincere hope of Starday Records, a label dedicated exclusively to country and gospel music, that this package will constitute a milestone in the history of American country music and will bring enjoyment to country music enthusiasts throughout the world. Pierce makes mention of the "cooperation of several other record manufacturers" which would appear to be King, 4 Star, and Mercury. Although first issued in 1961, this is clearly a later "Stereo" pressing and while many of the tracks are really mono, there are some rare Stereo mixes of Starday Studios material. * Starday Studios track in true stereo mix. In 1947 George and Leslie York, after eight years of recordings cut for labels both big (Decca) and small (Universal, Mellow, Bullet), signed on with Syd Nathan's King label. This "homebrew" collection gathers eighteen of the single sides released on the Cincinnati imprint over the next seven years, tracks that perfectly exemplify some of the best traits of King's Hillbilly releases of the era. George and Leslie York were born in Louisa, Kentucky in 1910 and 1917, respectively. They played music around home as youngsters, and by 1936 were playing together professionally. They spent the early and prime years of their careers in various cities across the south and midwest, most notably Detroit where they made their first recordings. Here they made a name for themselves playing rowdy songs with local references such as "Detroit Hula Girl", "Highland Park Girl", "Motor City Boogie", and most famously, "Hamtramck Mama". At King they would make their best records yet technically, and gradually update their sound in much the same manner as their label mates, the Delmore Brothers. The titles here represent both sides of nine single discs, both 78 and 45rpm, including some of the rarer sides never before reissued in the digital era. The tracks were mastered from first generation digital transfers of the original records, and despite the notorious mediocrity of King 78 pressings, even the earlier recordings here have great punch and presence. 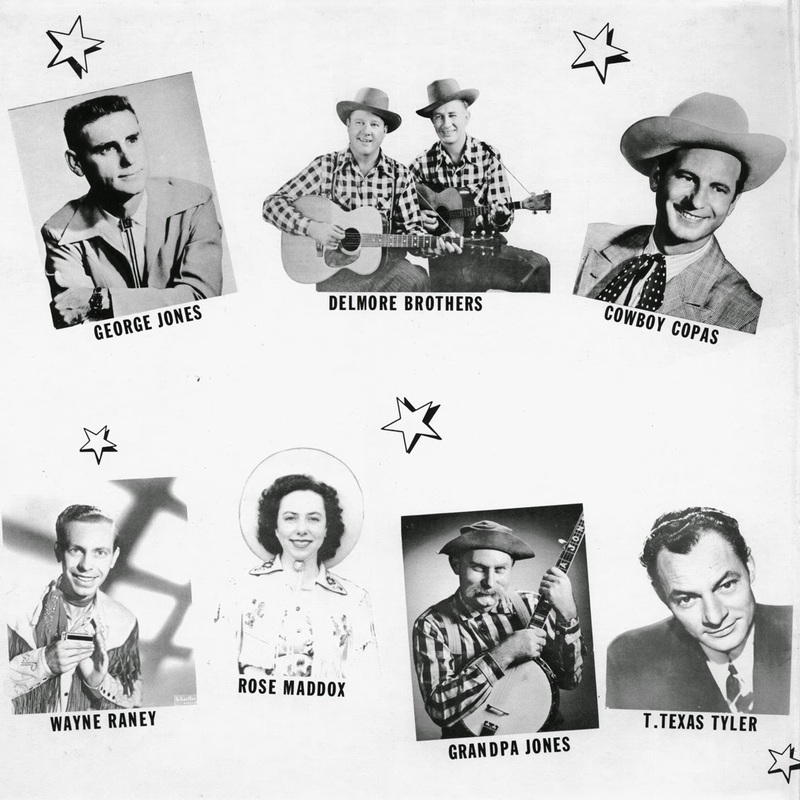 From the late fifties onward, the Yorks recorded and performed sporadically and Les sometimes worked as a solo act, in addition to both brothers' career activity outside of music. George passed away in 1974, Les ten years later. In their day, they made fine, distinctive mid century Country music that has resonated with successive generations of listeners and continues to do so to this very day. 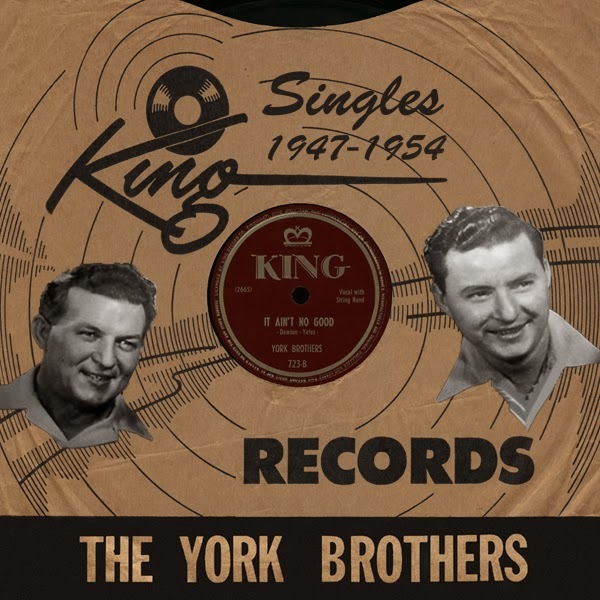 Other collections featuring the great recordings of the York Brothers, including early recordings and other King tracks, can be downloaded here, here, and here. Includes cover art with issue numbers and recording dates.